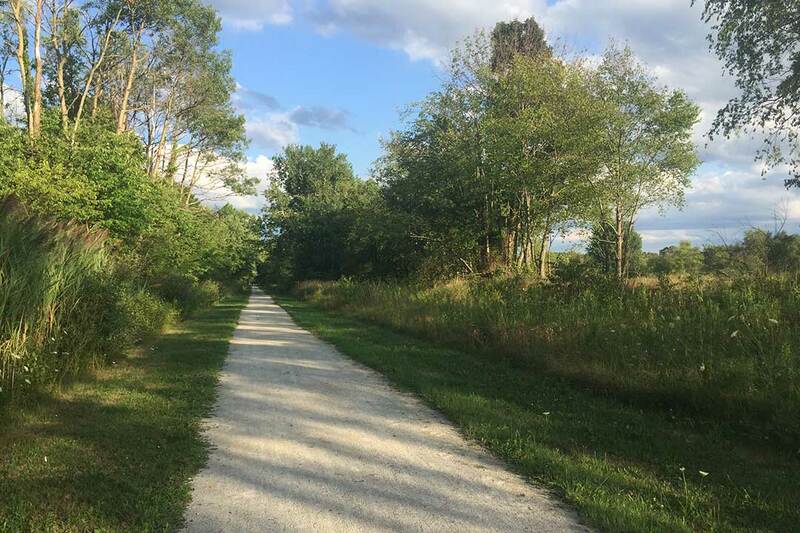 Explore urban and rural landscapes as you hike or bike along this 1.08-mile trail connecting to the City of Louisville’s Metzger Park. The Nickel Plate Trail has a crushed limestone surface and extends from Swallen Ave to the intersection of Pinevale Ave. and McKimm Ave. It then connects with the City of Louisville’s paved asphalt trail heading north around Metzger Park to Rt. 44. You’ll pass through a thriving wetland where you may see boneset, joe-pye weed, and skunk cabbage plants as well as apple, hickory, maple, sassafras, and swamp white oak trees. 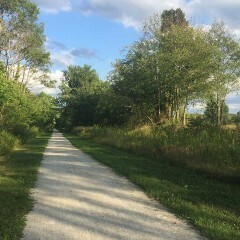 This portion of the Nickel Plate Trail has been adopted by the Rotary Club of Louisville, the club sponsors cleanup projects along the trail throughout the year. In February 2018, a new section of the Nickel Plate Trail opened in Minerva. Following the former railroad route, the 3.03 mile unimproved natural surface and gravel hiking trail has a small parking lot at Crowl St. The trail goes NW for 1.58 miles to Baird Ave. and 1.45 miles SE toward Union Ave./Rt. 183. Look around and appreciate the rock formations and rural landscape. Please note that northern and southern portions of the Nickel Plate Trail do not connect at this time. Equestrian trailer parking is not available. Local users that walk or ride in with horses must use the berm to the side of the trail.